The UK government is deploying troops, aircraft and armored vehicles, in what is the biggest NATO military build up in Eastern Europe since the Cold War. It comes as tensions between the West and Russia continue to escalate, following military maneuvers on both sides. However, NATO officials insist that they are "not seeking a new Cold War." The deployment will see up to 800 UK armored infantry troops deployed to Estonia next May for six months, and Royal Air Force fighter jets deployed to Romania for up to four months, according to the Ministry of Defense (MoD). They will be relieved by soldiers from another NATO member to keep up a continuous presence in Eastern Europe. UK Defense Secretary Michael Fallon, said the British mission would incorporate Challenger 2 tanks, Warrior vehicles and hand-held drones. "This is Britain stepping up in NATO, beefing up the reassurance that we are able to offer. "Although we are leaving the European Union, we will be doing more to help secure the eastern and southern flanks of NATO." "The UK is stepping up its package of measures to support its allies in Europe, in the face of a more assertive Russia." NATO said it is increasing its presence in the former Soviet-blocs "to prevent a conflict." It appears to be a repetition of the containment strategy employed against the Soviet Union during the Cold War. However, NATO Secretary-General Jens Stoltenberg, told a press conference on Thursday, October 27, that NATO wants to avoid another Cold War with Russia. Stoltenberg justified the show of increased military hardware as a "deterrent" measure. "We know that strong defense, credible deterrents, is the best way not to provoke a conflict but to prevent a conflict," Stoltenberg said. "So we have adapted, we have responded to the increased Russian military presence close to NATO borders." "The picture of Russia, which has invested heavily in modern defense capabilities, which is exercising its defense capabilities more extensively now than before. And of course a Russia which has used military force against neighbors. "So we are responding, but we are responding in a measured and responsible way because we are not seeking a new cold war. We want to keep tensions as low as possible." 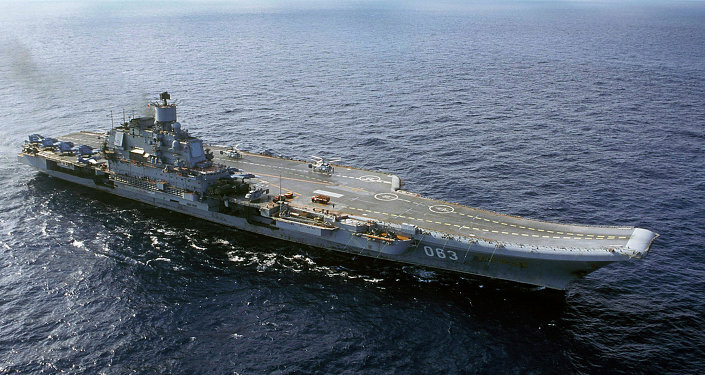 The announcement was made soon after a Russian fleet, believed to be en-route to take part in the conflict in Syria, passed through the English Channel. As it headed to the Mediterranean, NATO put pressure on Spain to refuse permission for the Russian fleet to refuel in Spanish territory, something that has previously been allowed. On Wednesday, October 26, Russia withdrew a request to refuel its boats in Ceuta, a Spanish territory in North Africa. The increase in military maneuvers on both sides is a manifestation of the East-West tensions that have been growing over the past two years. Divisions over how to tackle the ongoing horror of the Syrian civil conflict continues to be a major flash point. More NATO troops are expected be sent to the Baltic states and eastern Poland early next year. They will be backed by NATO's 40,000-strong "spearhead" rapid reaction force. France, Denmark, Italy and other allies are expected to join four battle groups led by the United States, Germany, Britain and Canada, with military technology ranging from armored infantry to drones. "NATO is able to defend all allies against any threats," NATO Secretary-General Jens Stoltenberg stated from Brussels..